Tumblr Sign Up from PC and mobile. Create new account now. 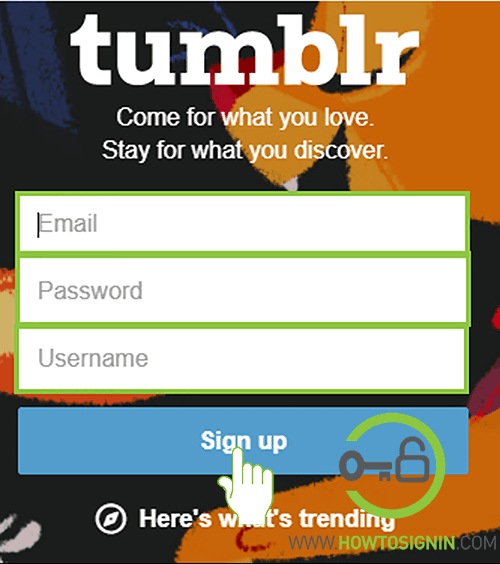 Sign up for Tumblr today and enjoy the unique world of microblogging and social networking. Tumblr is a microblogging and social networking site. Where you can publish a short blog post including images, videos, and other media. Such posts are known as “tumblelog”. 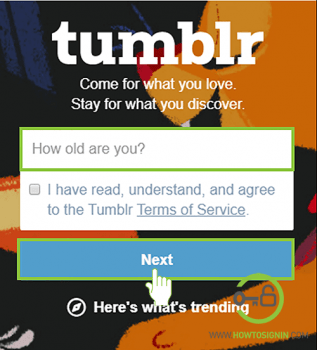 The working mechanism of Tumblr is similar to other social platforms. You can post short text, photos, videos, like and comment on published stuff and share the existing post. What has made Tumblr unique? The primary uniqueness is it possesses is nature of the site and ability of its users to customize their profile page heavily on their own style and idea. 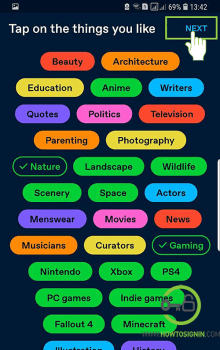 Where all other social media platform provides standardized profile pages for their users, Tumblr offers full freedom to decide how your profile should look. 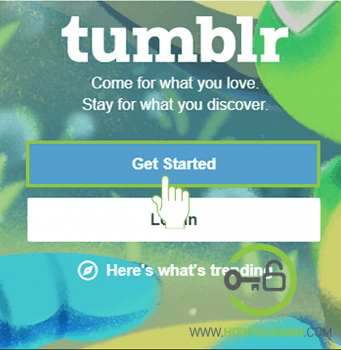 Tumblr can be the best alternative to other popular social networking sites like Facebook and Twitter. It provides the ability to choose how their profile shows up to their followers and other users, where later one offers limited flexibility in profile designing. You can create a new Tumblr account for free and without wasting much time. To sign up for a new profile, you need an existing email address and password. Go to tumblr.com from the browser of your choice. In the Tumbler homepage, click on Get Started. 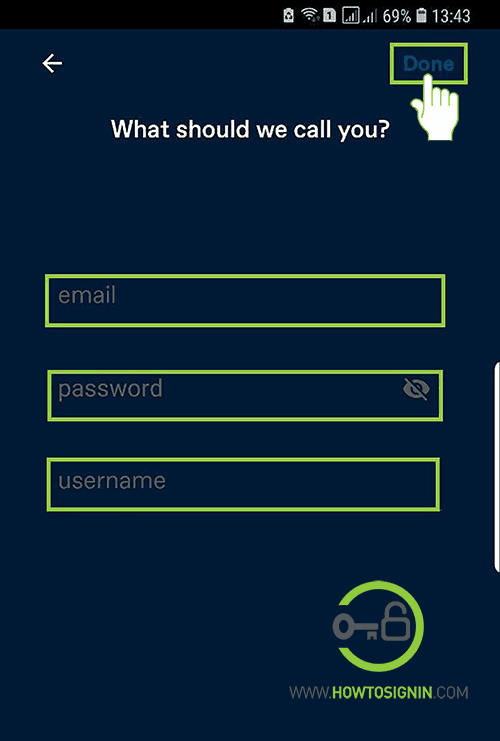 Enter your email address in the email field. Don’t have an email account? You can sign up for Hotmail account. 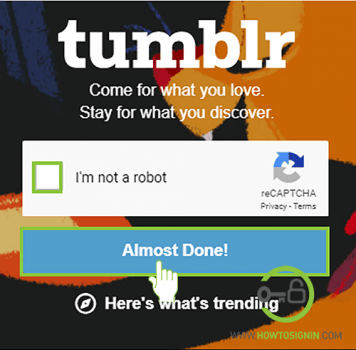 Make a password for the new Tumblr account. We recommend you to create a secure password. Make a username you prefer. Username is the unique name to identify your account. 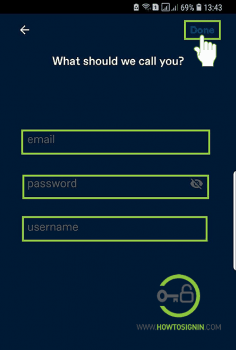 Username might be your name or any other word that suits your social behavior. Verify the captcha code proving you are a human. The process to create a new Tumblr account using the web browser is almost complete. Select the fields you are interested in. You’ve to choose at least five areas of interest. Click Next when you are done. Now your brand new Tumblr account is ready to roll. You can also register for new Tumblr account using its mobile app available for both iOS( iPhone, iPad, iPod) AppStore and Android Play Store. You can download and install the app from the respective store of your mobile device. Enter your birth year and tap Next. 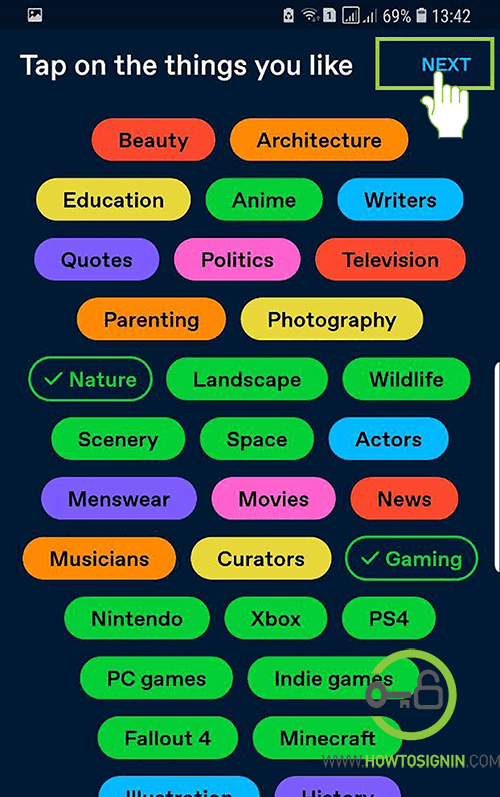 Tap on any five things you like or interested in and tap Next. Now you can follow users, like posts, etc. Tap on profile icon on the bottom right corner to open sign up form. Provide email address in the email field. Create a password for the new Tumblr account. Make a unique username for Tumblr account. Congratulations on your new account. If you face any problem with the registration process, please let us know in the comment section.